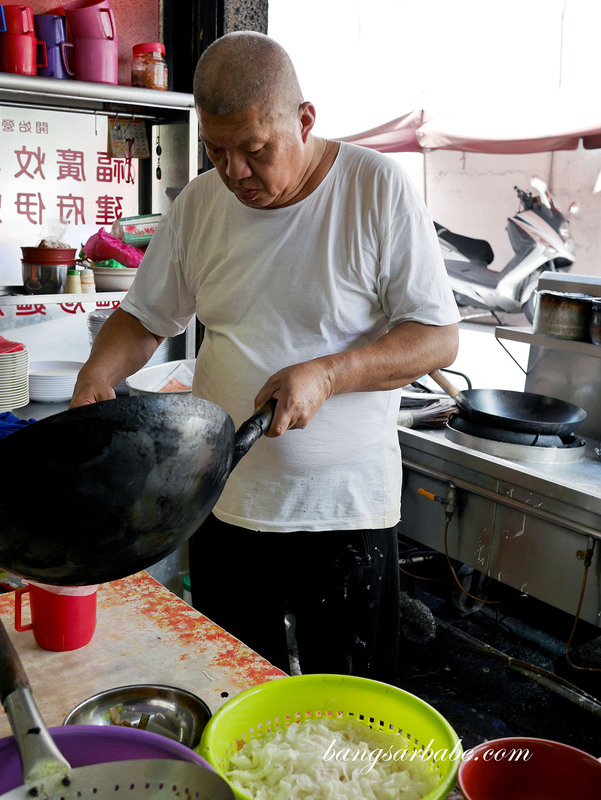 Happy Garden is an area filled with hidden gems, like this unassuming “big fry” (tai chow) stall in San Kee Restaurant. 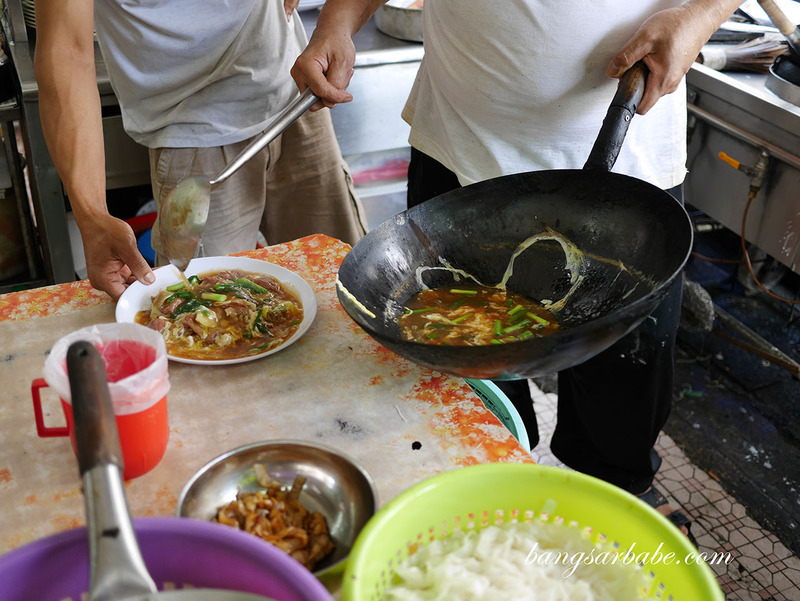 I chanced upon this when I checked out the not so impressive char siew place a few doors away – quite a number of patrons were tucking into plates of Cantonese fried kuay teow and Hokkien Mee and both smelt delicious. 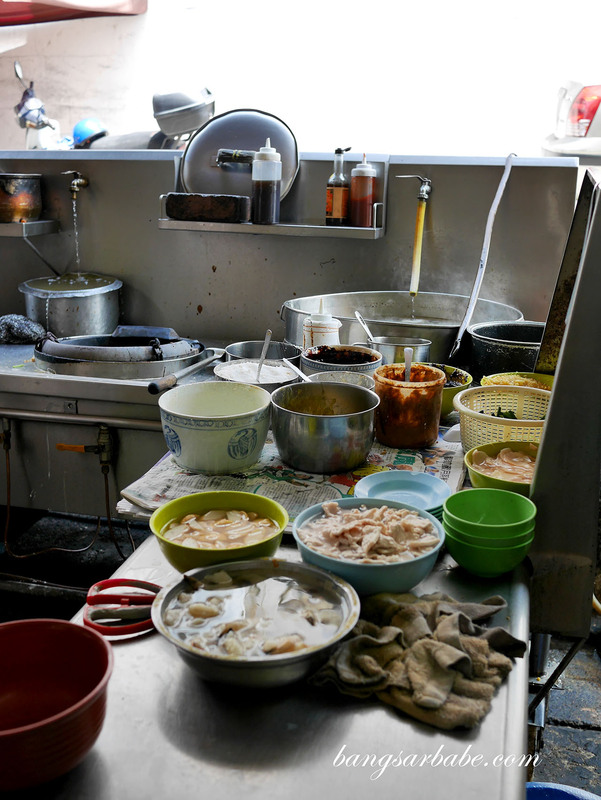 I think… the stall’s name is “Tai Ba Sai”. rif and I made a mental note to try it for ourselves and we’re glad we did. 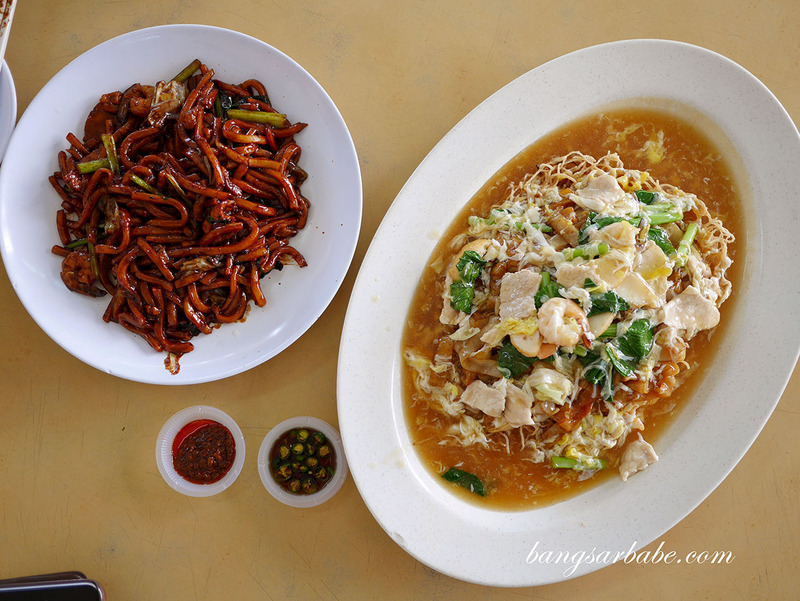 We ordered a plate of Cantonese fried kuay teow, Hokkien Mee and Loh Mee to share. 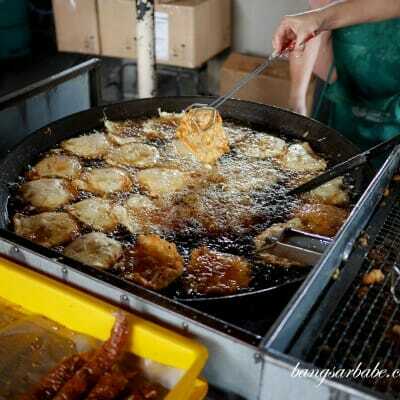 The uncle cooks them in batches (at least, that was the case when I went) so expect to wait a little longer for your food if you go there during peak hours. 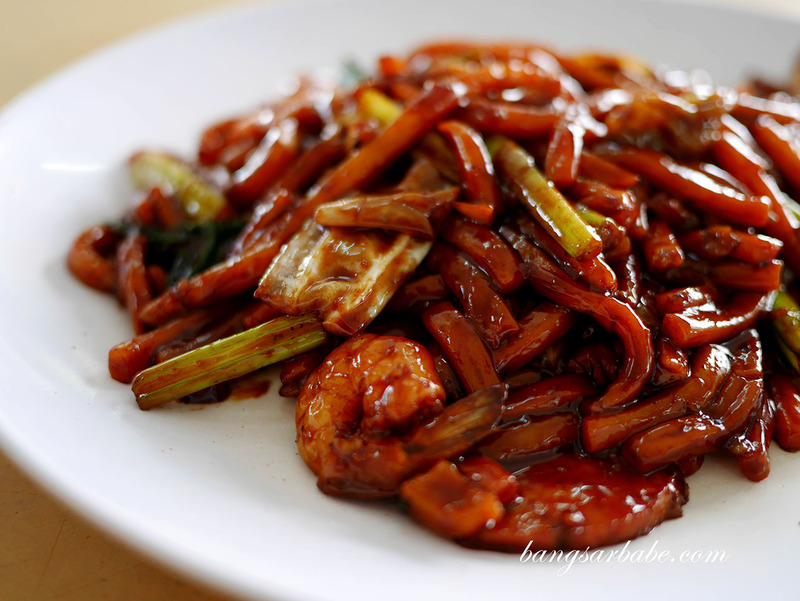 This looks like ginger beef kuay teow. Looks promising too! 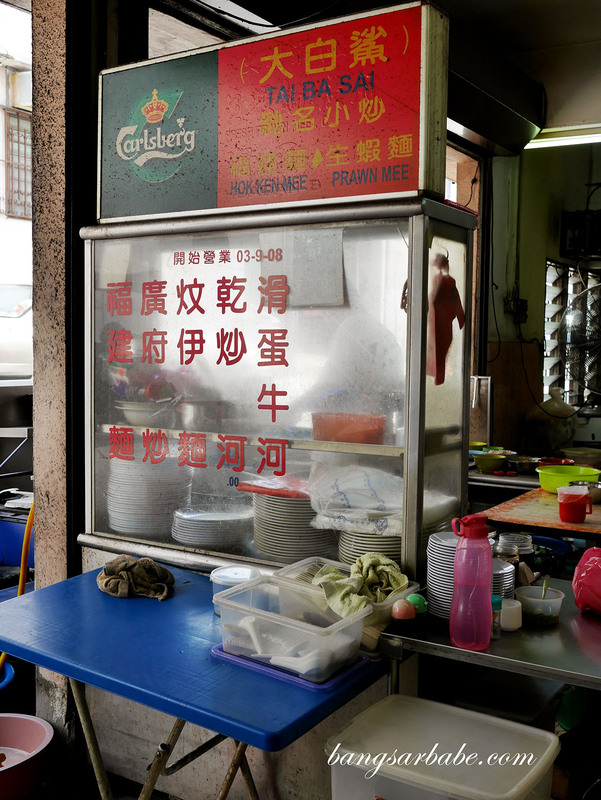 For a stall this unassuming, the Cantonese fried yin yong (kuay teow and vermicelli) was good stuff. 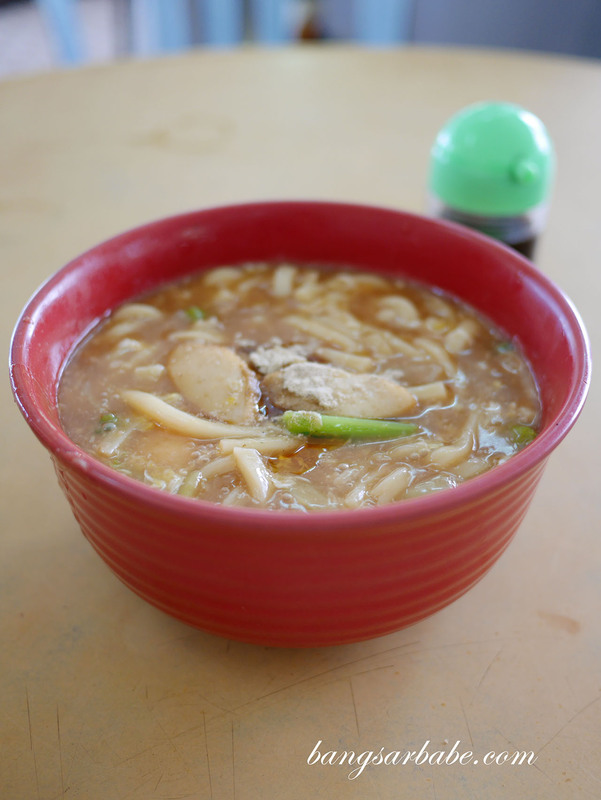 The noodles were freshly fried and topped with fragrant egg gravy. 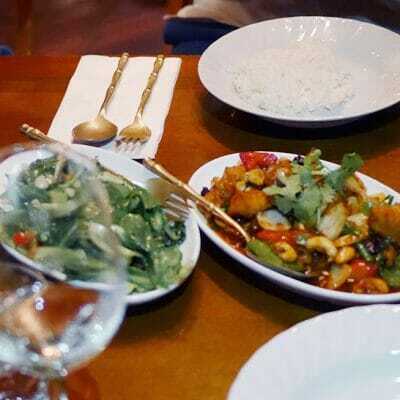 This came with a generous amount with pork slivers, prawns and vegetables. I liked how the noodles had a decent amount of char flavour, so it gives the dish a better flavour and aroma. Definitely one of the better ones I’ve eaten. 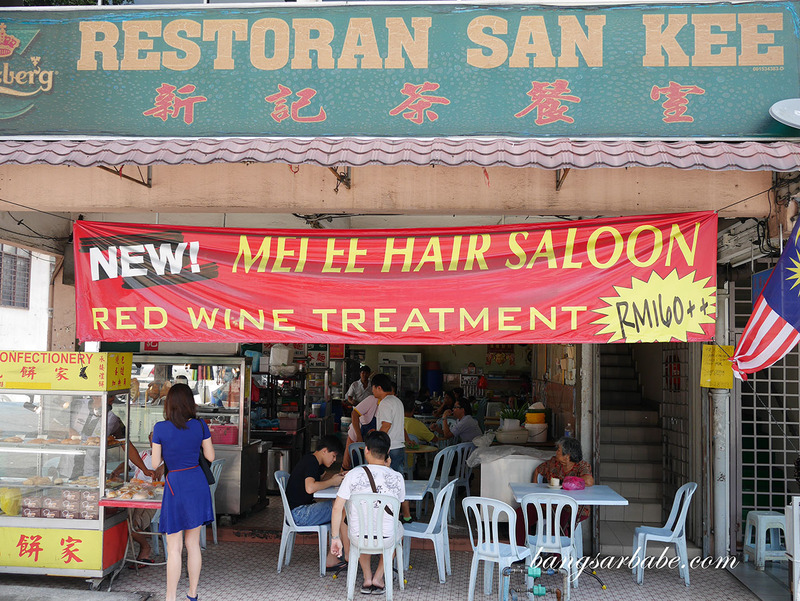 The Hokkien Mee was decent, albeit not fantastic. While this could use a bit more wok hei, the yellow noodles had little or no alkaline smell, and it was evenly coated with dark sauce. A bit of lard would have worked wonders so if you’re ordering this, ask for more lard so there’s more oomph in your noodles. 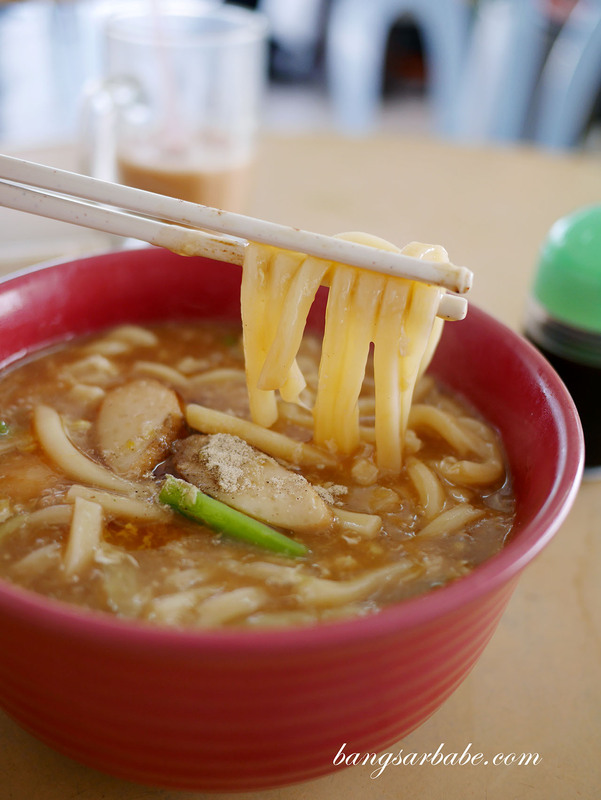 I thought the Loh Mee was well cooked – the yellow noodles retained bite, and the gravy was eggy and well balanced with flavour. 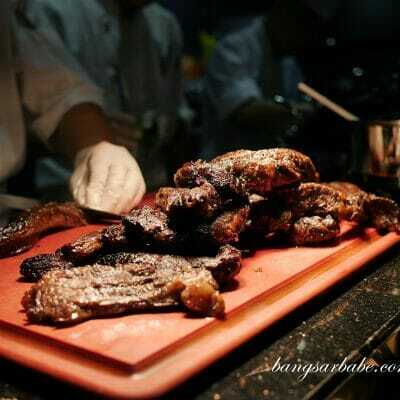 This is a rather simple dish but not many places do it was well as this uncle does. Don’t forget to add in some black vinegar for that extra kick, and if lard is your thing, remember to ask for more. A portion per pax is RM7; pretty standard pricing I reckon. 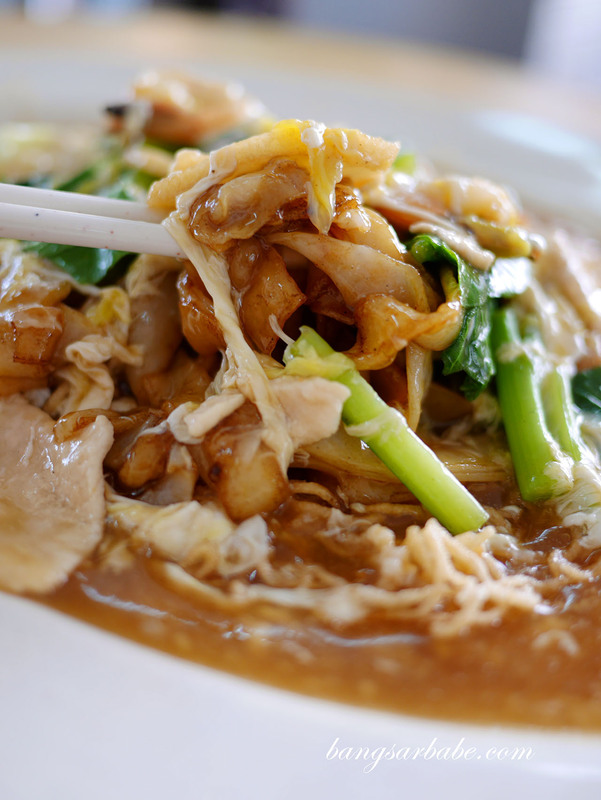 My friend who reads Chinese mentioned they also serve dry style kuay teow and fried beef kuay teow, so that calls for another visit soon! I’m not sure if the uncle operates at night, but he’s definitely there mid-morning and afternoon. Verdict: The Cantonese fried kuay teow and loh mee is good stuff. 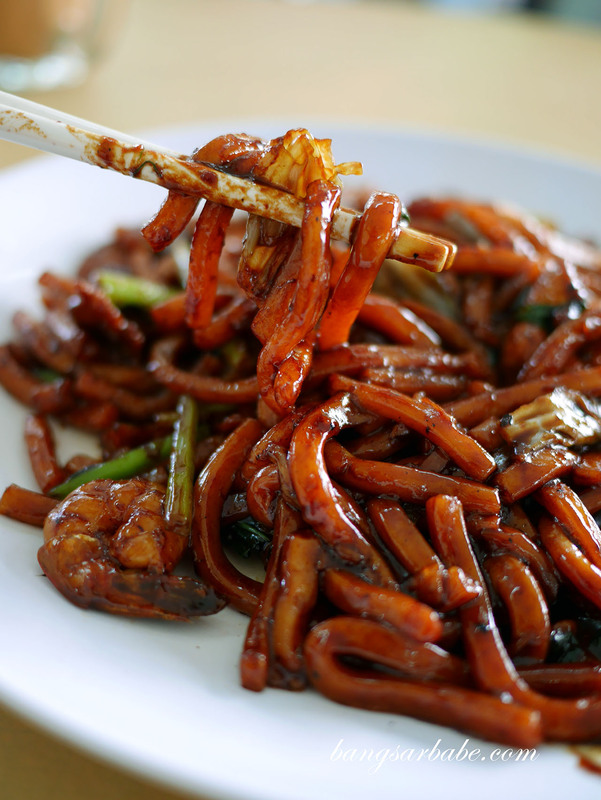 Try the Hokkien Mee if you have tummy space too!